The Morley Library, a private library at the Winchester Cathedral, is located in two rooms added onto the cathedral between 1093 and 1107. Behind the bookcases, grooves can still be found where secret compartments are present, possibly where the communion vessels or relics were stored. George Morley, from whom the library gets its name, was the bishop of Winchester Cathedral in 1662. 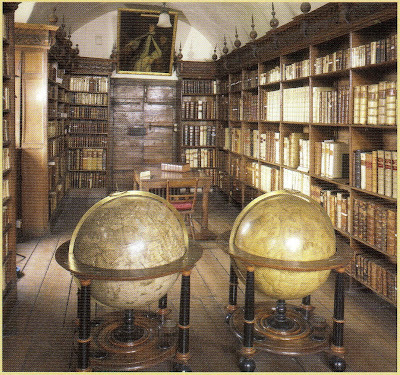 His collection makes up 2000 of the volumes in the present library. He was the person who proposed to have the room fitted as a library and to add his collection added upon his death. In 1668, the floor was refurbished and the bookcases from Morley’s residence were installed. The library contains some very rare items and some are housed in the Williams room across the hall. The cathedral also houses the Triforium Gallery full of items from the cathedral's history, one of which is a bowl that is rumored to have held the heart of King Canute. Canute died in Shaftsbury around 1035. His heart was removed and buried there, while his body was brought back to Winchester for burial.